It’s a holiday (Happy Birthday, America!) so I’m being lazy and just posting a link to Joe Hill’s blog post about how he revises his work. Revision is a problem for me, in that I almost never do it. Usually, I’m so dismayed by the utter hash the novel becomes on its way out of my brain that I give up hope that any amount of revision can save it. Of course, this is the exact wrong thing to do, and I know it, and yet I give up anyway. Truth is, no first draft is worthy of being seen by anyone. As Joe says on his blog, he never shows his first draft to anyone. I show my first drafts to my wife, and she always says nice things, but I’m not fooled. I know it needs revision. The first draft always needs revising. So do as Joe Hill does and not as I do. Revise the hell out of that sucker. I promise to try to do the same. « Writers: Get Discovered with StumbleUpon! 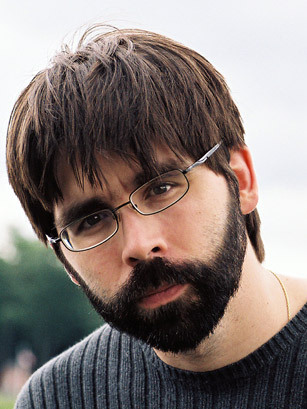 You are currently reading Revision, Joe Hill Style at Kicking the Pants.